In 2017, doctors and scientists know a lot more about traumatic brain injury (TBI) and other head injuries than they have every known before. One major reason is that many of brave servicemen and women suffered traumatic brain injuries as part as of their efforts in fighting the global war on terror, as did many civilian contractors and third party nationals who were part of the effort. Additionally, professional sports organizations, particularly the National Football League (NFL), have been paying special attention to TBI prevention. However, while we definitely have a much broader base of knowledge of about traumatic brain injuries, there is defiantly a lot more to learn about how the human brain works and what is the best way to treat a traumatic brain injury. According to a recent news article from Tech Times, researchers are hard at work to develop medications to treat a TBI. The reason for this is because, while there are surgical options, they are very invasive and many have left the patients with lasting brain damage. One of the new medications being used is not necessarily all that new, but rather a new application for a time tested medication. Studies are being performed on patients of various ages to determine if antibiotics can be used as an effective treatment for patients suffering from a traumatic brain injury. 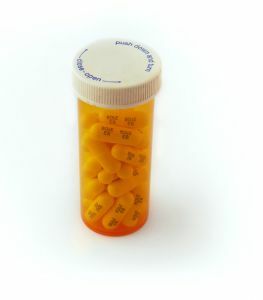 While it might seem odd that a TBI could be treated with antibiotics, since we are dealing with an injury as opposed to a bacterial infection, the theory behind this experiment is that the use of certain antibiotics can stimulate spinal cells in the immune system that can help not only keep pathogens out of the injured area, but can also aid in the healing process. The good news is that the antibiotics, specifically minocycline which is a tetracycline antibiotic, seems work well in adult patients who have suffered a traumatic brain injury. The bad news is that it actually makes the traumatic brain injury worse in children. The issue seems to deal with the level of development in the human brain at the time of the traumatic injury and the time the antibiotics are administered. While this is obviously helpful to know, they do not know at which age the brain is developed enough to benefit from the medication, and it is dangerous to perform experiments if the patient is too young. As our Boston personal injury attorneys can explain, brain injury cases are complex on the legal side as well as the medical side, because the same science used by doctors must be presented in a effective manner to the jury. For this reason, the best thing you can do is to make sure your attorney has handled cases with plaintiffs who have suffered a traumatic brain injury and knows how to effectively fight for you right to a full and appropriate financial recovery. This involves working with expert witnesses and preparing effective visual presentations that a jury will actively follow during trial.